At Chem-Dry of Northern Nevada, we understand that carpet cleaning can be a chore- literally. The majority of us don’t really like to vacuum or scrub out stains. However, in order to keep your carpets looking good for longer, it’s important to keep them clean. Getting into a regular cleaning routine can make it seem less difficult and you will see great results from it. 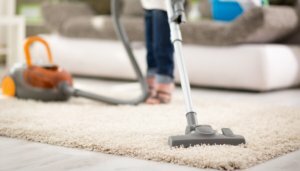 Understanding the right way to clean carpet will also help you save time by doing it correctly the first time with products that do the job right. 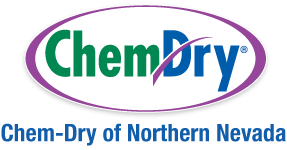 Here at Chem-Dry, we have found the best solutions for carpet care. Not only will our Seal of Approval cleaning products help keep your carpet looking great, but they can also help meet the warranty requirements of the carpet manufacturer. Keeping dirt and grime from getting on and in your carpet in the first place is a simple way to keep it clean. The following helpful hints can stop dirt before it ever hits your carpet. Use doormats. Outdoor and indoor mats or runners will catch dirt to greatly reduce the amount of dirt that enters your home. Remember to change your air filters. Change air filters in your heating and air-conditioning systems as recommended by the manufacturer’s directions. The more dust and particles removed by the filter, the fewer that fall onto the carpet & furniture.